Humanity is altering natural ecosystems more rapidly than it is reaching an adequate scientific understanding of the implications of such change. It is widely known that the overuse of energy, water, land, minerals and biological resources is contributing to climate change. But human activities that deplete natural resources and degrade ecosystems are also threatening international, regional and local security. Moreover, the growing gap between near-term development objectives and long-term human aspirations means that the costs of development are being passed onto future generations. Yet the international agenda to combat global warming has become politically loaded. Important actors have tacked onto the agenda their own economic and other interests — which explains why the process to negotiate a successor regime to the Kyoto Protocol has been painfully long. Such factors will no doubt be evident at the forthcoming United Nations climate change conference in Paris. Make no mistake: The future of human civilization hinges on sustainable development. There are several historical examples of societies fatally undermining their ecological security, with the resultant eco-meltdown leading to their fall. Two examples are the early Sumerian civilization, which emerged in the lower basin of the Tigris and Euphrates rivers, and Central America’s Maya civilization. In both cases, land and water degradation stunted food production, setting the stage for their downfall. Today, the threat from unsustainable human practices has reached global proportions. Indeed, human-induced changes of natural systems have become so profound that the Earth has entered what Nobel Prize-winning chemist Paul Crutzen calls the Anthropocene, a new geological age in which human civilization — not nature — is the dominant force, driving major alterations in the planet’s ecosystems. As rising regional temperatures clearly illustrate, climate stability is becoming a casualty of such anthropogenic transformations. The 20th century brought unprecedented progress but also profound damage to ecosystems, with humans altering or degrading up to 50% of the Earth’s land, modifying natural flows of about two-thirds of all rivers, and driving one-quarter of all bird species and many large mammal species to extinction. Populations of large herbivores like elephants, hippos and rhinos are dwindling at a startling rate. According to U.N.-Water, a United Nations agency, about half the world’s wetlands have been lost since the early 20th century, while aquatic ecosystems have lost 50% of their biodiversity since just the mid-1970s. Human-induced climate change creates a vicious spiral. For example, a warmer climate reduces the amount of highly reflective snow cover, which in turn allows more radiation from the sun to be absorbed by the ground and water, further increasing temperatures. Global emissions of planet-warming greenhouse gases, however, continue to grow at more than 1% yearly. Every 24 hours, the world dumps over 90 million tons of such gases into the atmosphere, treating it like an open sewer. Effectively controlling the buildup of greenhouse gases in the atmosphere demands fundamental policy and lifestyle changes. But as seen over the nearly quarter-century since the conclusion of the United Nations Framework Convention on Climate Change, setting out international goals on paper is easier than faithfully implementing them. The binding targets set under the UNFCCC-linked Kyoto Protocol, which took effect in 2005, required a manageable cut of around 5% in emissions of six greenhouse gases to bring them below the participating industrialized countries’ 1990 levels over a five-year period from 2008 to 2012. The specific targets varied from country to country. But many of the industrialized economies and countries in transition that voluntarily became parties to the Kyoto Protocol failed to live up to their respective obligations. Not surprisingly, climate-related challenges have become more acute. We are now at a crunch point. And yet climate politics are only becoming murkier. To be sure, there are continuing gaps in our scientific understanding of the phenomenon of climate change. Climate science is still young and offers no clear answers to some critical questions. Thanks to focused research on human activities and their impact, the public now knows more about the anthropogenic factors contributing to global warming than about the Earth’s own natural climatic variations. What, for example, caused the “little ice age” from about the 15th to the 19th centuries? Further scientific research is needed to understand the phenomenon of natural climatic shifts, which usually extend over several centuries. In view of such gaps, it is easy to either exaggerate or underestimate the impact of climate change. Yet its effects are likely to be serious, even according to the most conservative estimates. Some water-related implications of global warming are already beyond dispute. Shifts in precipitation and runoff patterns will lead to greater hydrological variability, negatively affecting food production in some regions. Meanwhile, water stress is set to intensify and spread to new areas, owing to accelerated glacial thaw, more-frequent cycles of flooding and drought, and degradation of watercourses. But, as negotiations ahead of the Paris conference illustrate, the subject of climate change has become highly politicized, with competing interests seeking to shape — to their own advantage — the outcome of a new international agreement on climate. This trend serves as a reminder that climate change is not just a matter of science but also a matter of geopolitics. Beyond negotiating specific targets in a new climate pact aimed at building a low-carbon future, the world confronts a more fundamental question — how to break the link between economic development and adverse impacts on the environment and climate. This challenge is compounded by the fact that the measure of economic growth in our world is ever-increasing production and consumption. The concept of development is actually broad-based and encompasses far more than just economic growth rates. The widely acknowledged benchmarks of comprehensive development include protection of the biological and physical environments, public health, low income disparity, social equity, resource conservation and environmental sustainability. Likewise, national progress must be measured not merely in terms of gross domestic product but also in terms of how well human needs are met, using other measures of comprehensive development. The world, unfortunately, has made the mistake of overemphasizing GDP growth, which demands more and more consumption, even as many societies are becoming more unequal and facing popular discontent. At the same time, climate change is challenging the world’s ability to innovate and live in harmony with nature. But we do not have to wait for new technological innovations to open up potential solutions. Changes in human practices and preferences could readily create a more sustainable world right now. At the national and international level, this means making the right energy and development choices. And at the individual level, it means embracing a more sustainable lifestyle that makes for better and healthier living. Given that climate change is likely to spur more frequent and intense natural disasters, building resilience — the ability to avoid significant disruptions due to global-warming-driven changes or shocks — is also essential. To lessen the effects of climate change, countries must also strategically invest in ecological restoration — by growing and preserving rainforests, conserving wetlands, shielding species critical to ecosystems and restoring rivers and other natural heritage sites. Such programs can even help regulate regional climate, slowing soil and coastal erosion and controlling droughts and flooding. 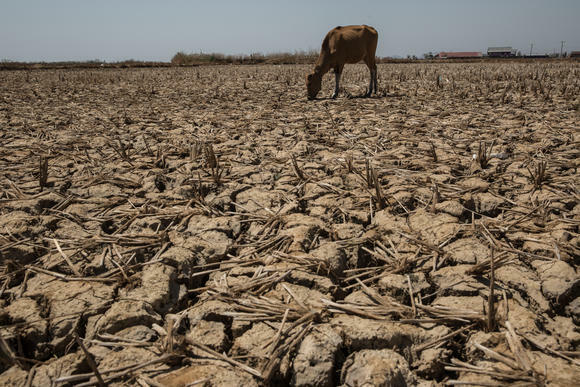 Global warming starkly illustrates how the most pressing challenges today are international in nature and thus demand collective international responses. Geopolitical games and growing international divisiveness, however, are hindering effective action on the global challenges. If we are to preserve our planet for future generations, we must move from the Anthropocene epoch to the “Sustainocene” age. But such a transition will require development and energy policies anchored in the goal of environmental and climate protection.